Business confidence continued to rise in June while expectations for the future hit a two and a half year high, a sign that measures taken by the Chinese authorities to stem the decline in growth are having a positive impact on the economy. The MNI China Business Indicator rose for the second consecutive month to 55.0 in June from 53.7 in May, the highest since December 2013. The increase in the headline indicator was supported by strong growth in Production and New Orders, as well as a significant improvement in Employment. For Q2 as a whole, the MNI China Business Indicator averaged 53.3, up from 51.9 in Q1, an indication that GDP growth, which fell to a one and a half year low of 7.4% on the year in Q1, will at least stabilise, if not improve slightly in Q2. The Production Indicator rose for the fourth consecutive month to the highest reading since December 2011. Output should be supported over the coming months by a strong pick-up in New Orders, which rose to a six month high in June. Conditions in the labour market also improved markedly in June to the best for more than two years, as a growing percentage of firms reported that they did not have enough employees. The Effect of the Yuan Exchange Rate Indicator fell for the first time in four months, to the lowest reading since February, as the depreciation of the yuan came to an end. 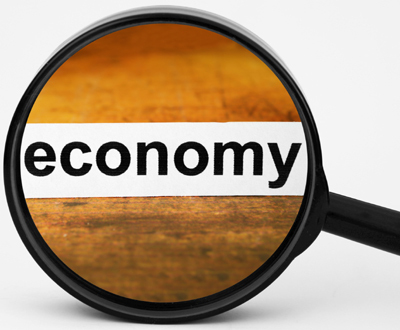 Commenting on the data, Chief Economist of MNI Indicators Philip Uglow said: “A raft of measures to try and support the economy have been put forward in recent months to counter the slowdown in growth. While most of the measures taken by the Chinese authorities in isolation appear relatively small, their combined impact could actually add up to something more substantial.